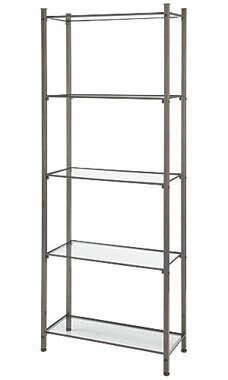 Present your prized possessions on our beautifully constructed étagère’s in this exclusive Raw Steel finish! Perfect size for a cozy corner or under the spotlight center floor! The open shelving allows customers to get a complete 360 degree look at the product and lets them pick up their favorite item for a closer view.